Brown Grass in the Summer or Brown Grass in the Winter? 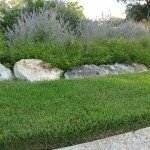 This is a decision that has to be made when choosing what type of grass you want for your lawn. 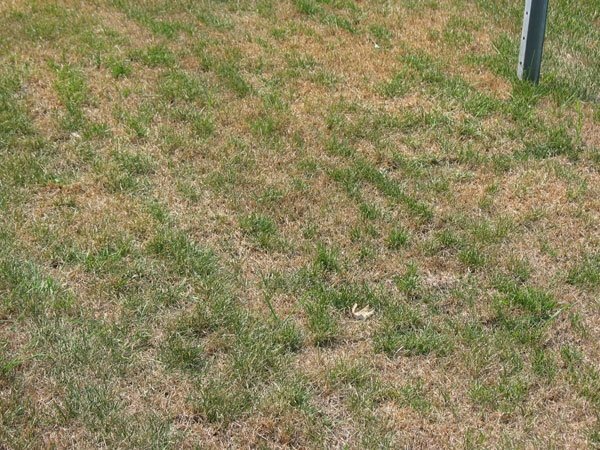 Someone once said, “No matter what type of grass you have you will have a brown lawn at some point of the year.” Why does the grass go brown? Depending on the type of grass you have would determine when and why it turns brown. Zoysia is a warm weather grass. As a way to protect itself from the cold temperatures Zoysia goes dormant (to sleep) for the winter. When the grass is dormant it turns a light honey brown color, it is not dead. 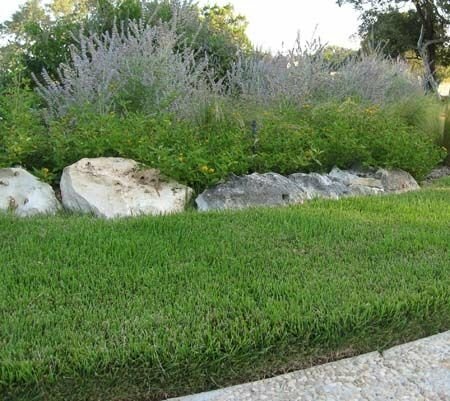 When dormant the grass does not require any type of care or maintenance. It will keep its well manicured look, since it does stop growing during this time. Not all zoysia grasses can withstand the colder climates. Amazoy zoysia is the most cold tolerant of all of the zoysia grasses, it can withstand temperatures to 30 below zero. On the other hand, cool weather grasses do not go dormant in the winter, however many do go dormant in the hot dry summer months. These grasses turn brown and even die when the temperatures get really hot. The only way to keep them green is to water, water and water the lawn! Extra watering is becoming more difficult to do because of the droughts, cost of water, watering restrictions, well limitations and the time it takes to stay on schedule. 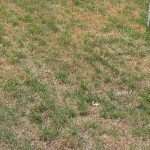 Do I want my grass to be green in the winter months, when it is not used much and in some areas covered with snow? Or, do I want my grass to be green and lush in the summer months when it is used the most? If you want green grass in the summer then you want a warm weather grass like Amazoy zoysia grass!